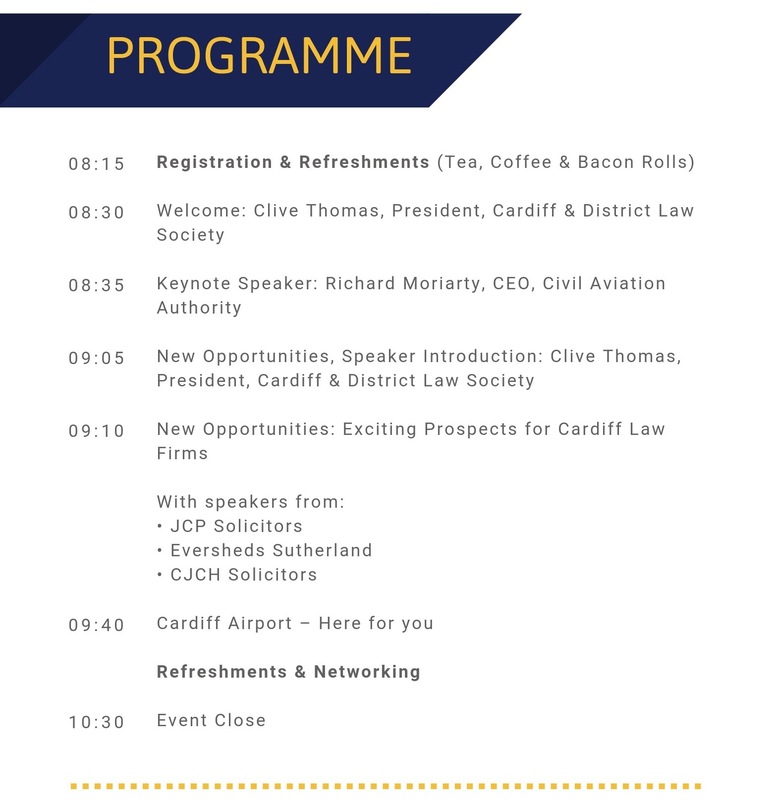 Managing Partners, Directors and those with a senior business development role in legal practice are invited to join Cardiff & District Law Society and Cardiff Airport at our first event to focus on the global opportunities for Welsh legal brands, how the airport can help sustain business and also provide new and exciting areas of work for your firm. We are delighted to welcome Richard Moriarty to speak at our event. Richard is the CEO of the Civil Aviation Authority and also has a background of helping law firms innovate through his previous role as CEO of the Legal Services Board (LSB). 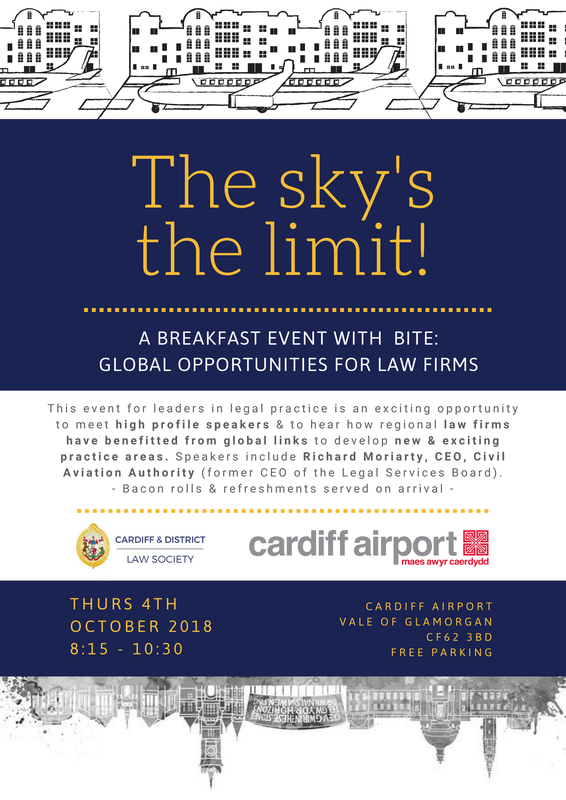 Hear first-hand how law firms in Wales have benefitted and meet with others to discuss ideas and potential. The event is FREE and on a first-come-first-served booking basis. Refreshments & bacon rolls will be served on arrival. If you are using a Sat Nav our postcode is CF62 3BD. The airport is close to Rhoose in the Vale of Glamorgan, west of Cardiff and 13 miles from junction 33 on the M4. Please park in Short Stay and take a ticket. You will be given an exit voucher to get out free of charge at registration. Once in the terminal, please make your way to the Rhoose and Porthkerry rooms. There will be signage to direct you.